A new study teases out the different benefits of four kinds of meditation. Many beginner meditators, myself included, start out with a mindful breathing meditation: one breath in, one breath out, the mind wanders, you bring it back. Armed with an app guiding me through this meditation, I practiced dutifully for several months—but eventually I fell off the wagon. It just stopped feeling right for me. I didn’t know there were other types of meditation to try. That’s why a new study published in the journal Mindfulness is so encouraging: It compares four different types of meditation, and finds that they each have their own unique benefits. Mindful breathing isn’t the only place to start—and it’s not the end of meditation, either. Armed with an app guiding me through a mindful breathing meditation, I practiced dutifully for several months—but eventually I fell off the wagon. It just stopped feeling right for me. I didn’t know there were other types of meditation to try. Breathing meditation: A practice where you focus your attention on the sensations of breathing. Body scan: A practice where you focus on each individual body part in turn, from head to toe. Loving-kindness meditation: A practice deigned to foster positive feelings of love and care, initially toward a close loved one and then extended to yourself, others, and eventually the whole world. Observing-thought meditation: A practice that teaches you to notice as thoughts arise, label them—for instance, as positive or negative, focused on yourself or others—but avoid getting absorbed in them. The program was split into three three-month modules, with breathing meditation and body scan taught together. Each module included a three-day retreat and two-hour weekly group sessions, plus five days a week of practice at home. Before and after every meditation session, participants filled out online questionnaires about their thoughts and feelings in the half hour before the meditation and during it—providing a snapshot of how the practice impacted their minds. During every type of meditation, participants reported feeling more positive emotions, more energetic, more focused on the present, and less distracted by thoughts than they did before beginning—perhaps thanks to the attention training that’s common to all meditation. But that’s where the similarities ended. During body scan, participants saw the biggest increases in how aware they were of their bodies (unsurprisingly) and the sharpest decline in the number of thoughts they were having, particularly negative thoughts and thoughts related to the past and future. Loving-kindness meditation led to the greatest boost in their feelings of warmth and positive thoughts about others. Meanwhile, the observing-thought meditation seemed to increase participants’ awareness of their thoughts the most. Participants had been split into three groups, one of which learned only loving-kindness meditation (my personal favorite) for three months. But doing this practice without a foundation of more basic meditation didn’t seem to be problematic. In fact, though they had slightly more negative thoughts during loving-kindness meditation than the other groups (who had already learned mindful breathing and body scan), they saw an even bigger rise in their warm and positive feelings. As the researchers point out, these findings offer insights to would-be meditators and mental health practitioners. If you’re tackling a specific issue—say, feeling disconnected from your body, in conflict with others, or plagued by rumination—then you can choose to try body scan, loving-kindness, or observing-thought meditation (respectively). Previous research also suggests that the observing-thought meditation has an advantage in reducing our judgmental attitude toward others. As the researchers point out, these findings offer insights to would-be meditators and mental health practitioners. If you’re tackling a specific issue—say, feeling disconnected from your body, in conflict with others, or plagued by rumination—then you can choose to try body scan, loving-kindness, or observing-thought meditation (respectively). “The type of meditation matters,” explain postdoctoral researcher Bethany Kok and professor Tania Singer. 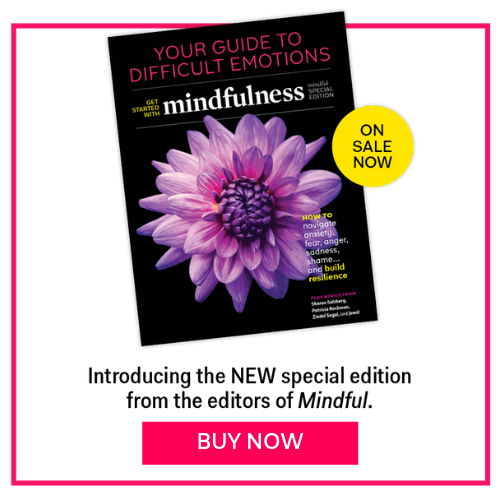 “Each practice appears to create a distinct mental environment, the long-term consequences of which are only beginning to be explored.” In fact, this study is part of a larger investigation called the ReSource Project, which is also examining how these different meditations affect brain structure, stress, and social behavior. But if you’re looking for broad benefits, any of these types of meditation could help you cultivate positivity, energy, and focus. In that case, whichever meditation you’re likely to stick with is probably the best choice.